Full of style and history, Portuguese tiles have become quite popular in-home decor. These tiles are used to add the vintage touch to your room. These tiles are also known as Azulejo, which is a form of tin-painted ceramic tiles. These tiles are very famous not only in Spain and Portugal but have gained popularity in many other countries. You can use these tiles for both interior and exterior purposes. These tiles are commonly found in the traditional blue and white color. 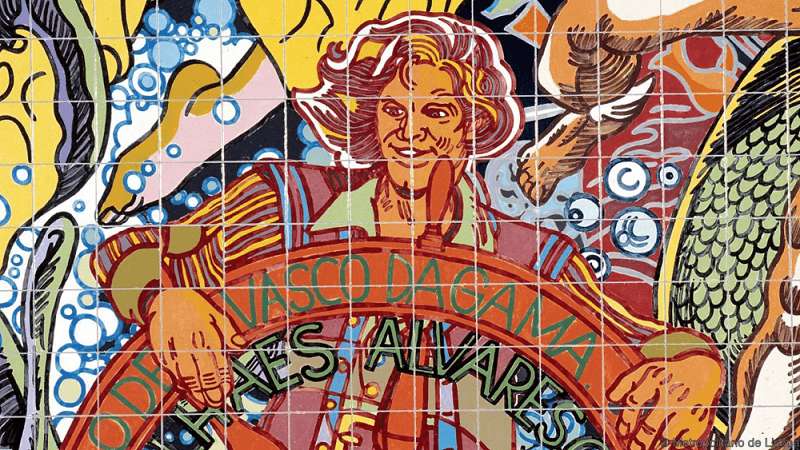 These tiles are a major component of Portuguese architecture, and sometimes portray the cultural and historical moments in the Portugal history. How Can I Use Portuguese Tiles in My Kitchen? Are you tired of the same old white tiles in your kitchen? If yes, then you can add a touch of color and character to the kitchen with the Portuguese tiles. Once you decide to incorporate these tiles to the kitchen decor, then you can be assured of having one of the most outstanding kitchen styles. They can be used to add a decorative element to your kitchen or can be used as a functional addition if installed as a backsplash. So, choose accordingly. Having a beautiful kitchen can make your home look more beautiful. Isn’t it? The artistic tiles are not only durable and functional but can easily enrich the monochromatic color scheme. If you are still confused on how to use these tiles in your kitchen, you can seek help from the professional interior designer. They can give you better ideas to decorate your kitchen, and can also guide you to other places where you can install these tiles in your home. Apart from the kitchen, you can use them in your dining area as well. If these tiles are installed in your home, then it can add to a show-stopping decor in your home. Are There More Modern Versions? If you love the idea of adding a flair of these Portuguese tiles in your kitchen, then you will be surprised to know, that apart from the traditional blue and white tiles, these tiles come in other color schemes as well. You can choose from a wide range of styles and colors like – army green or honey brown tiles with geometric patterns or you can go for mint yellow or green tiles in flower patterns. These can be a great option for your backsplash as well. So, go ahead and customize your kitchen using these tiles. You can purchase these tiles online at various sites. If you are looking for the best variety of Portuguese tiles, then you can purchase from The Zellij Gallery. For any further information, you can visit their official website. Choose wisely and rock your kitchen’s decor.